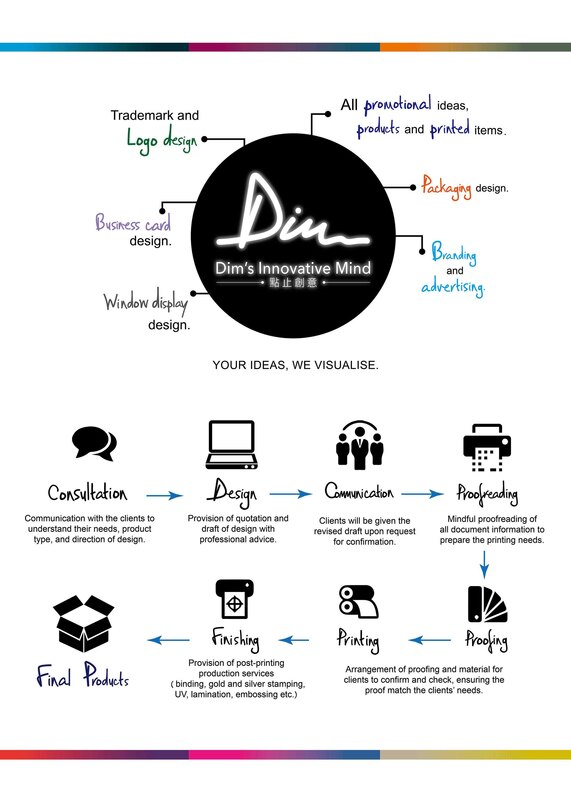 Dim's Innovative Mind is a graphic and advertising design company with its HQ in Macau & Hong Kong. The team led by the experienced directors consists of professionals from China, Hong Kong, Macau, Japan and other places, whose vision of design is diversified. We are your ideal one-stop company who offer highly customized solutions and we only believe in the means of top-notch product design, technique and excellent after-sales service. We also regularly perform market analysis and tech optimization to cater to the ever-changing business world and market needs.